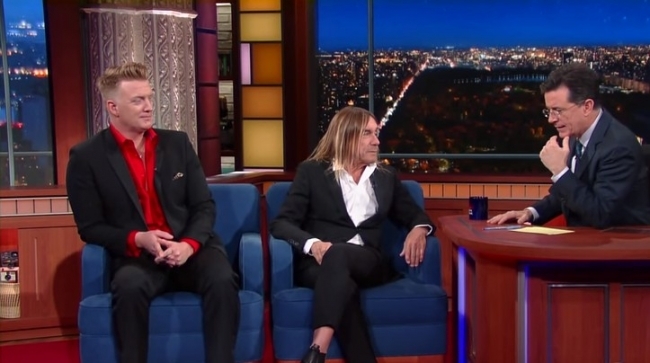 Iggy and Josh hung out with Stephen Colbert on The Late Show last night and talked about a new album they recorded together in the Mojave Desert. They also performed the first single from the album called “Gardenia”. You can read more about how this album came about here.